Wow, the summer is flying by faster than I could have imagined. At this point I'm about 4.5 weeks out from my goal race, Tamalpa Headlands 50K, and I've been focused on this race goal since mid-May. 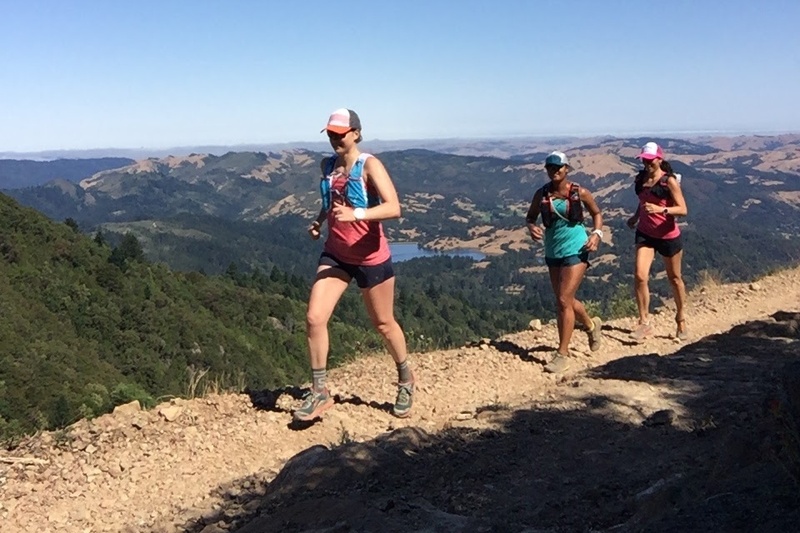 The training cycle has been filled with epic trail runs, and I'm seriously enjoying the challenge, the views, and the training time with friends. The big difference this time around is that it's my first time working with a coach for any distance; I've been learning a lot and working harder toward a single goal race than I ever have in the past. Usually I struggle to focus on a goal and instead sign up for way too many races, therefore becoming overwhelmed with my schedule. Now that I've swung the opposite way, I miss the race energy and I'm feeling the pressure of one major 'goal' hanging over my head. My sweet spot is likely somewhere in between the two, which I will keep in mind going forward. Exploring the Western States trail near Foresthill. I've found working with a coach to be helpful while at the same time stressful. I don't like having to ask for schedule changes because I feel like a pest, and I think I've asked for too many. For goodness sakes, I'm the crazy person who changed the goal race for which the whole plan was built. Lucky for me, Coach Sarah has rolled with everything perfectly and makes changes on the fly. I still worry about asking for too much, but I realize the 'worry' and 'stress' part is in my head. Communication is key, and I have to stop being afraid to communicate. The other aspect I've struggled to communicate is how I'm really doing. In my head, I should be able to handle it and if I can't, I must be a wuss. I can't have my coach thinking I'm not trying or that I'm a wuss! I eventually found myself exceptionally tired and had a minor breakdown about missing a run, which forced me to admit how much I was struggling that week. Since then, I've tried to work the problem sooner and she's changed my plan accordingly. I have to remember that this is a harder plan, more mileage, and more speed work than I've ever done, so being tired and listening to the body is normal. Now for the parts of having a coach that I love. First, it has significantly improved my training with regards to the number of runs per week and miles per week. I enjoy reviewing my training log and seeing the week over week consistency. Second, I'm doing weekly speed work. Third, Coach Sarah has done a fantastic job of answering my questions and helping me to realize that training isn't always easy - and it's not supposed to be easy. I'll never improve if I don't get out of my comfort zone. I'm still hard on myself, although I'd say I'm making some progress in that area too. 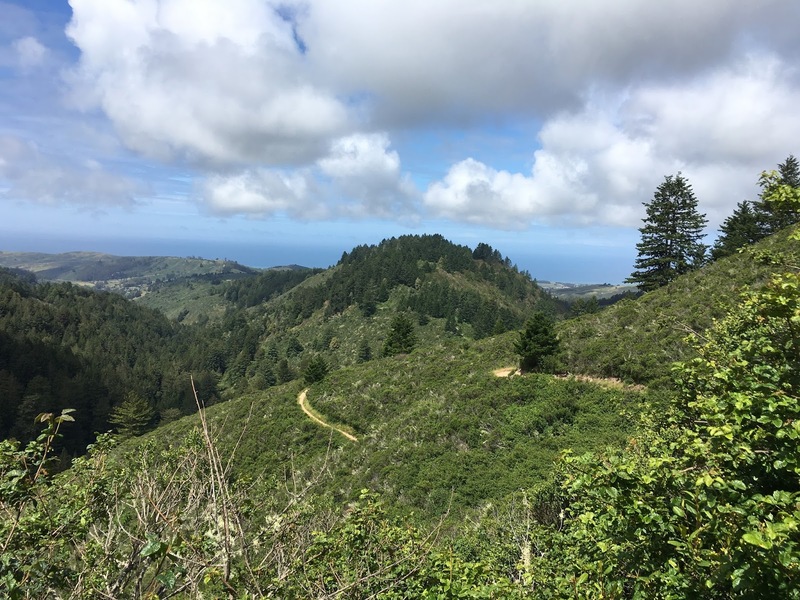 View from Whittemore Gulch trail in Purisima Creek, the run that kicked off this cycle. On to the exciting part - I've decided to run the SF Marathon! Even though I'll be doing it at a training run pace as opposed to a race pace, I'm looking forward to the race atmosphere and the course. SFM had been in my schedule as a supported long run option until only a couple of weeks ago, at which point I thought there was no way I could run that far on pavement due to some calf and road shoe issues. 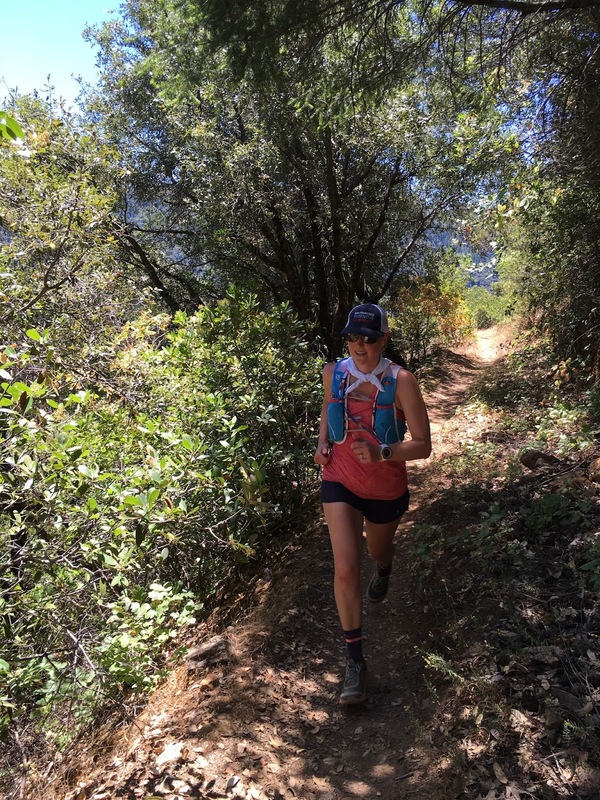 Then last week I had a breakthrough moment of finally feeling good on pavement and many pangs of sadness about missing my favorite course, so I asked Coach Sarah if we could put it back in my plan. Now just like that, it's race week! Here we go SFM! Paulette, I'm so excited that you'll be running this weekend; I can't wait to hear all about it! In addition, it sounds like you've made some important discoveries, thanks to your experience with Coach Sarah, with regard to your training. Similar to you, I have a tough time asking for help/changes and I always feel like there's something wrong with me if I can't keep up; for me, it's been nice to have someone else, outside/objective, who reminds me that everyone has tough weeks, we all have demanding jobs/responsibilities, and it's okay to cut myself some slack when I need to. WAY TO GO!